The Quebec winter tire law is already 10 years old, making it mandatory to have winter tires mounted from December 15 to March 15. In 2019, the period will be extended by two weeks, starting on December 1st. In the rest of Canada, at least 60% of drivers in the Prairies and 93% of drivers in New Brunswick equip their vehicles with winter tires. For the last 15 years, we have tested and compared hundreds of products, ranking the best… and the worst in the business. Tires have come a long way since the turn of the millennium, in terms of research and development, design and materials; they last longer, they grip much more on all kinds of icy and snowy surfaces and they are more comfortable. There are still products out there we would not recommend, as we prefer to mention the best in this new and updated 2018-19 Top 10 list. These products are meant for vehicles from small sedans and vans up to intermediate SUVs. We took about thirty tire models to our test area, ranging from ice to hard-packed snow, highways to byways, from dry to wet surfaces. Tests were conducted with an on-board computer and a dB meter. The program is thoroughly the same for each product: acceleration and braking, slalom test and grip, increasing and decreasing radius curves, road handling and lane change, sound level on two types of road, asphalt and concrete. Finally, a personal evaluation, counting for a small percentage in the final standings, concludes our evaluation. Readers may think the products remain the same from one test to another, but there are new products every year that can earn more points and find a berth in the final standings. This year, new products come from Nokian, Gislaved and Toyo, among others. There were a few contenders for the last spot in this list, like the Nokian Nordman 7, General Altimax Arctic 12 or even Cooper WSC. However, the Goodyear Ultra Grip Ice WRT (Winter Reactive Technology) earned the last place because of its overall winter characteristics, durability and large retail network. Goodyear has a huge expertise in terms of winter products, with a catalogue of more than 14 sizes for cars, SUVs and trucks of all kinds. And Goodyear shares technology with its Dunlop division that also offers 15 more winter tire models. That said, the Ultra Grip Ice WRT provides very good dry weather, cold road handling and a smooth ride. It is a good performer on icy surfaces, but lacks grip in deep snow and slushy conditions. Launched five years ago, the Yokohama iceGUARD iG52c hit the target from day one and was always in our Top 10 list. The iG52c is designed for cars and small SUVs while its more aggressive iG52v sibling can supply large SUVs and pickups. 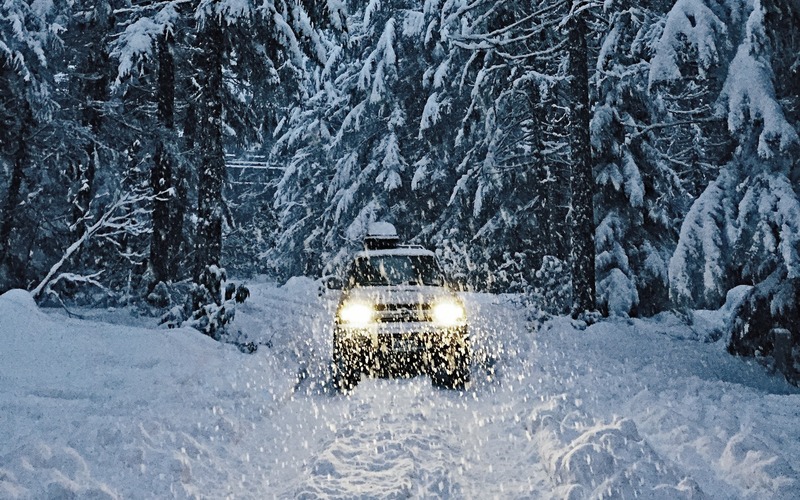 The tread pattern shows a soft compound and largely siped blocks with plenty of void areas that can stop any vehicle on ice and hard-packed snow within reasonable distances while permitting a safe drive in deep snow and slush. However, this Yoko could provide more bite in curves. On dry and bumpy roads, road handling is smooth. Consumers can expect good durability and the cost/value of this product is probably the best in our Top 10 list. The Pirelli Ice Zero FR was presented three years ago and can be compared to some extent to what Continental and Michelin offers. The tread pattern of the Ice Zero is directional and the rubber compound provides safe braking distances on ice and hard-packed snow. Road handling is predictable and also very smooth with a low sound level in the vehicle. There are two other options. First, the Pirelli Icecontrol model can be considered for consumers driving mostly in remote areas. Better would be the Ice Zero option with factory installed studs: there are only 20 sizes and the W-shaped tread pattern is different but grip on icy surfaces is maximized. The Pirelli exclusive studs are patented with a tungsten double-tip. With over 100 sizes, the Toyo Observe GSi5 is the one-model-fits-all winter product. Presented five years ago, its prices are still affordable for a Japanese tire. The Observe GSi5 is an above-average performer on any kind of cold winter surface due to crushed walnut shells added to the compound, but could do better on wet and slushy tarmac. The sound level entering the passenger compartment could be reduced on bumpy roads. The GSi5 represents a good quality-value, long-lasting product that addresses all type of vehicles. To broaden its offer, Toyo added the entry-level Observe G3-ICE (friction or factory studded) and the all new Observe GSi-6 HP. In our tests, the GSi5 was always ahead of the G3-ICE, but the factory studded option should be considered. The new GSi-6 HP was developed for sport and luxury vehicles with low profile and higher speed index requirements. Continental is the biggest German tire manufacturer, and 4th biggest worldwide. Its winter tire line-up includes nine models, with the Winter Contact SI as top of the line for the last three years, after replacing the Extreme Winter Contact model. The Winter Contact SI features a directional v-shaped tread pattern with blocks filled with a compound—Polar Plus technology—that allows shorter braking distances. Numerous sipes absorb water and slush and provide a sound grip on hard-packed surfaces. On the other hand, they quickly get filled in deep snow and driving requires more attention. The Winter Contact SI allows a very smooth ride, just like the Michelin, and filters out noise from the passenger compartment. The brand’s retail network is also very wide. While many manufacturers are developing new products, Michelin sadly does not join the parade. Obviously, the X-Ice Xi3 has seen better days since it was first presented in 2012: in fact, since then, it lost a few ranks in our standings. Nevertheless, Bibendum`s winter proposal delivers the smoothest ride and durability. The Flex-Ice compound combined with the tread block design and the Micro Pump technology provides short braking distances on ice and hard-packed snow, but lacks grip in fresh snow and evacuating features in slush. Its retail network is the largest in the country. Originally a Swedish manufacturer and a long-time competitor to Nokian, Gislaved became a subsidiary of tire giant Continental AG. Gislaved’s footprint in Canada relies on the excellent Nord*Frost 200, factory studded or not, successor to the previous Nord*Frost 100 and formerly Nord*Frost 3 and 5. The retail network has improved, but the product would benefit from better visibility. The Nord*Frost 200 deserves our attention: on dry or wet tarmac, on snow or ice, its overall road handling is amazing. It lost a few points on ice braking, but gained some in deep snow. With an asymmetrical tread pattern, road handling on a dry winter road is above average. The Nord*Frost 200 shows good value for retail index and it is available factory studded for only a few more loonies. No Run Flat sizes are available. The former Nord*Frost 100 is now manufactured as the General Tire Arctic Altimax 12. Available for a few years, the Bridgestone Blizzak WS80 fares well and is still one of the top winter products on the market. Road handling on ice and snow remains a benchmark for its competitors. Considered as an ice tire because it cannot be studded, the WS80 provides strong road handling on snow, due to its tread and block design. A long-standing rumour stating the Blizzak does not deliver longevity is totally false. Some sizes offers XL format and Run Flat characteristics. Blizzak products are available in almost every tire shop and car dealer. The Hakkapeliitta 9 came close to finishing on top, but lost a few points to the R3 in terms of comfort and ride smoothness. Both Nokian products came out strong in braking on icy surfaces and the Hakka 9 offers the best drive in deep snow, even without factory studs. Consumers are still ambiguous about mounting studded tires, since they’re noisier and less comfortable; they can be mounted from October 15 to May 1st in Quebec, but are banned for people living in Southern Ontario and many indoor or residential parking facilities forbid them. Please note that all Hakka 9 sizes are XL certified. Another Nokian product worth putting on your shopping list is the Nordman 7, a clone of the former Hakka 7, offered at lower prices and available with or without studs. The Nokian Hakkapeliitta R3 is a friction (non-studdable) tire replacing the former R2. Not as grippy as its Hakkapeliitta 9 sibling in deep snow, the R3 is a knockout on icy and hard-packed surfaces, due to the design of its tread pattern and a bio ingredient called Cryo Crystal added to its compound that acts like mini studs. The R3 earned more points for its road handling and daily commuting drive characteristics. To sum it up, this is the best overall winter product and best balanced in this match. It fits most popular sizes, offers a few run-flat options and most sizes are XL format. * The author would like to thank Michel Poirier-Defoy for his expertise and invaluable cooperation in the completion of this comparison; and Atelier Yvon Lanthier for storing, mounting and removing the tires.